Meet the Family Behind Outdoor Adventures Family! Thanks for stopping by our website! We’d love to share more about our family with you. Meet each of the family members behind this website! 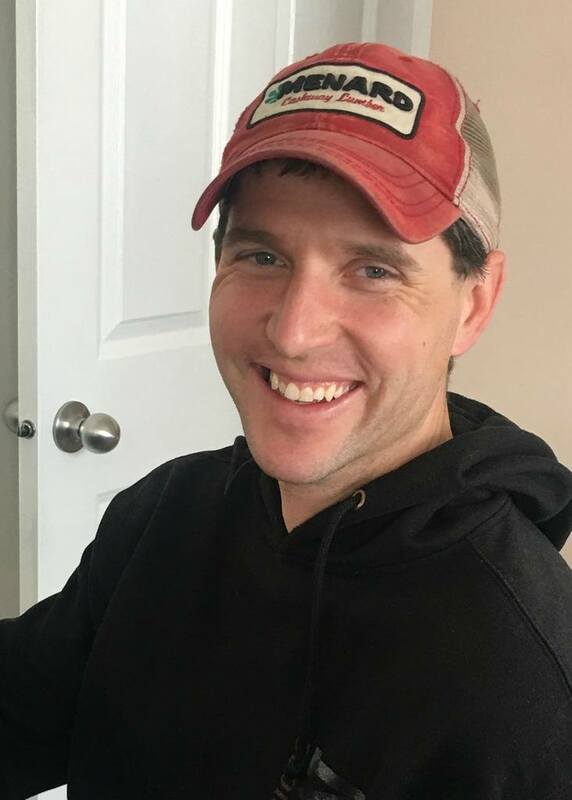 David is a father to four children and is married to his wife Sarah. They live in Minnesota on ten acres of country land, surrounded by farmland. He works as a millwright and is a skilled mechanic. He graduated from Dunwoody with a degree in mechanics and enjoys fixing anything and everything. He loves riding his dirtbike, side by side, snowmobile and going camping with his family. He also loves boating, fishing and off-roading with his family. He strives to bring FUN to the great outdoors as his children explore and learn. Sarah is married to David and enjoys being a mom to their four children. She blogs over at Must Have Mom, where she shares kids activities, recipes, farmhouse style makeovers and more. She enjoys cuddling her dog, Maddie, and embarking on camping adventures with her family. You’ll likely find her curled up in a hammock reading a good book! 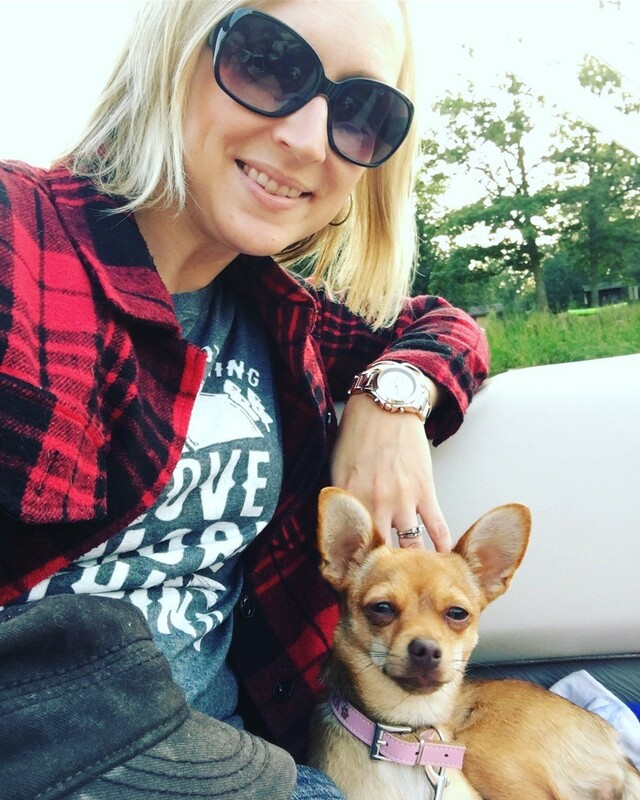 She loves boating, driving the kids around in the side by side and she loves catching walleyes and northern pike for dinner! 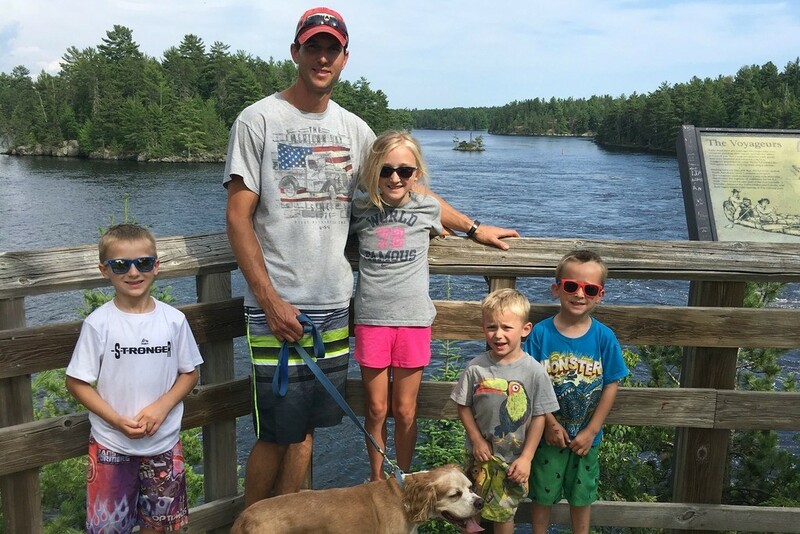 David and Sarah have four amazing kids who love outdoor adventures! Danika is 10 years old and loves relaxing and making s’mores. Aiden is 8 years old and is obsessed with riding his dirtbike and anything with a motor. He’s also an avid lego-builder. Carson is 6 years old and enjoys racing his dirtbike around the yard and is very attentive to detail. We call him the “keeper of the stuff” because he always is there to ensure nothing flies out of the boat or gets left behind. Brady is 4 years old and loves to use his outside voice! He is always trying to keep up with his big brothers and loves playing in the water. Finally, Max, is our cocker spaniel mix dog who is 13 years old and is Danika’s best buddy.